This interview first appeared in the Voice of Lakewood on November 22, 2018. Q: Tell us About Attentive Behavior Care. A: We provide ABA therapy for individuals on the autism spectrum; we work with children aged 18 months and up and adults. ABA is a science-based method that has been proven to work in addressing the core deficits of autistic children: social, communication, and behavior reduction. Because autism is a spectrum disorder, a wide range of children fall along the spectrum. Some are nonverbal and need to learn how to communicate their needs, while others need social skills training and group practice to bring them up to par. Examples of skills that we target include social skills, toilet training, independent dressing, safety skills, communication, and hygiene — all essential skills which enhance the quality of life of the child. Q: Please share some thoughts about your clients. A: There is a saying, “When you meet one child with autism, you have met one child with autism.” Each autistic child has individual needs, and I see each child as a puzzle with unique strengths and weaknesses. Our job is to figure out what is causing their behaviors, which skills are lacking, and what motivates them to learn new skills. Then, we work to build additional skills in a fun and meaningful way. Q: Why did you choose ABA Therapy as a career? Q: Tell us about some memorable experiences. A: I once worked with a nonverbal two-year-old whose mother was told her son would never speak. Of course, she was devastated. At the initial assessment, he made noises, but didn’t actually form any words; he cried and used aggression to have his needs met. After around three weeks, he was able to say “pizza,” his favorite food. His mother called everyone to share her excitement… and a year later this boy is speaking in full sentences! The most satisfying type of phone call I receive is when a child cancels their social group because they were invited to a play-date with a friend instead. Then I know we have accomplished our goal. Q: What is unique about Attentive Behavior Care? A: It’s easy to teach a skill; it’s harder for children to apply the skills in real life situations. 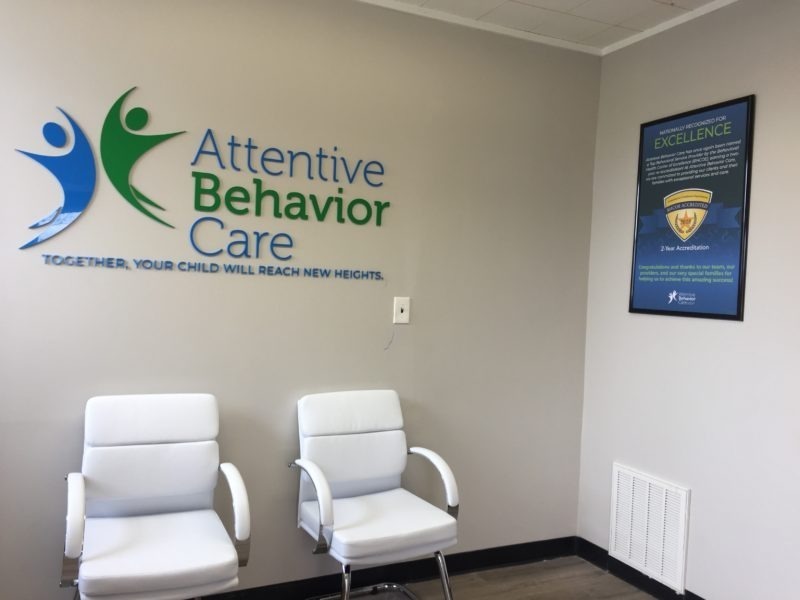 At Attentive Behavior Care, we plan for generalization in two ways: Number one, we involve the parents in the therapy; by giving parents hands-on training, we enable them to achieve success with their child at home. We also offer great social groups, or “clubs,” where the child practices their skills in a natural environment, with the therapist present. Children bake, play sports, create crafts, or play games in order to practice skills such as conversation, reading social cues and gestures, losing a game gracefully, problem-solving, following directions, compromising, adjusting to changes in routine, sharing, and taking turns. We also have a special program that we all our “Attentive Day Center.” We have our own classrooms and play areas, and we provide a full-day therapy program for preschool-aged children, focusing on communication, play, and social and independent skills. Recently, we have expanded our services in these Day Centers to include Speech-Language Pathology (SLP) and Occupational Therapy (OT). This allows the children to receive an intense therapy focused on skill-building in a fun and engaging way at this critical time in their lives – all under one roof! Q: What do you tell a parent who’s child needs therapy? Focus on the good; praise your child as much as possible. Spend a few minutes of quality time with your child daily, with no interruptions. Q: How can a parent ensure that they get the most out of therapy? 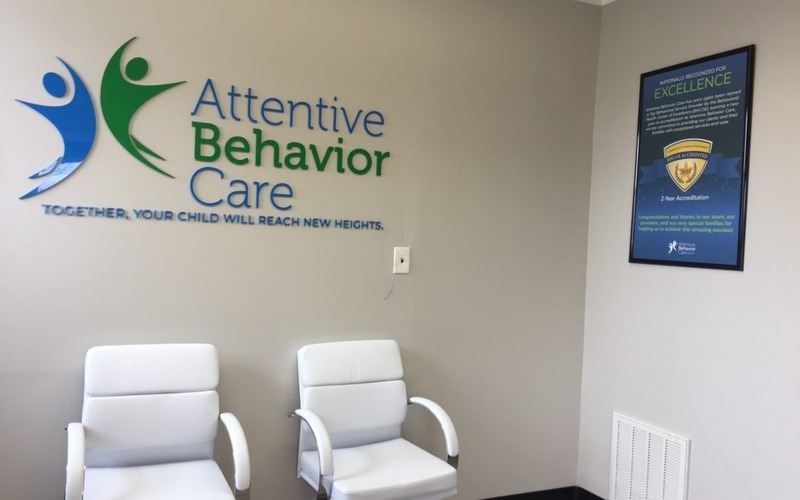 If you would like more information on how Attentive Behavior Care can help your child, contact us today! Patricia “Trish” Rollins is the NYC Field Development Manager for Autism Speaks. Trish originally got involved with Autism Speaks in 2007 as a volunteer. She has a brother on the spectrum, and wanted to do something bigger and outside of her family, so she volunteered with Autism Speaks. She participated in her first walk in 2008, and very quickly decided that this was something she really wanted to get involved with in a meaningful way. She joined up with the NYC walk committee to have a deeper involvement in the cause, and when the Staten Island walk committee was formed in 2012, she joined up with that committee as well. 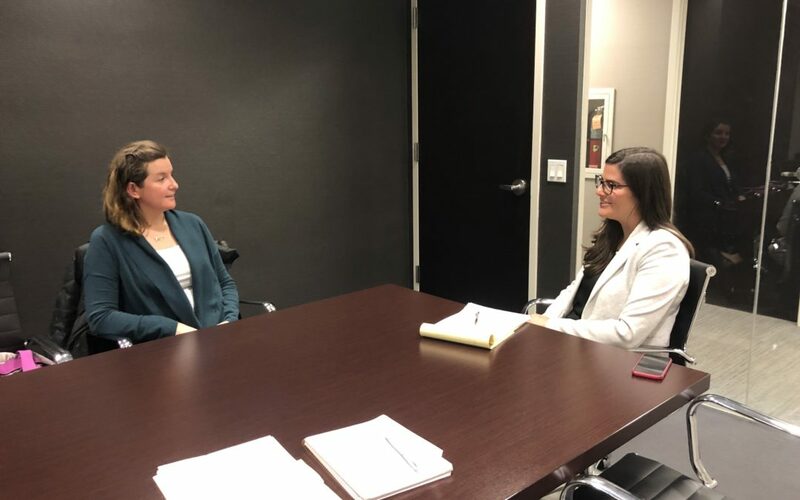 A temporary position with Autism Speaks opened in 2014, and of course she took it, and later a permanent position in 2015, which she continues to hold today. Trish has an organic connection to the organization. 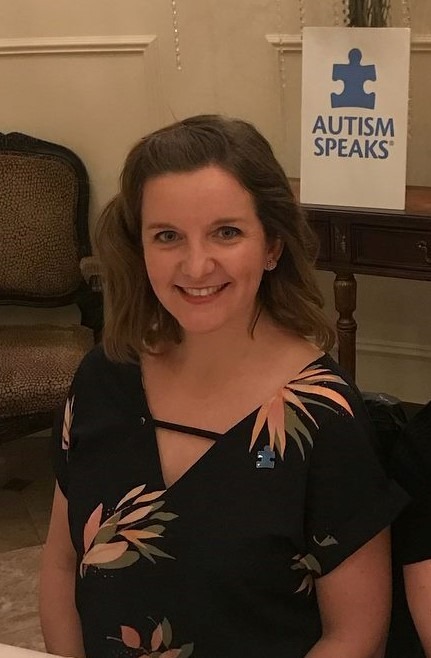 She has a unique perspective on Autism Speaks having been involved as a family member, a volunteer, a committee member, and a finally as a full-time employee. She has seen the walks as a volunteer and participant, and lends that perspective to the planning of the walks. Trish sees herself as an Autism Speaks lifer. It is a rarity these days, but she is one of the lucky few who wakes up every day and genuinely loves going to work. 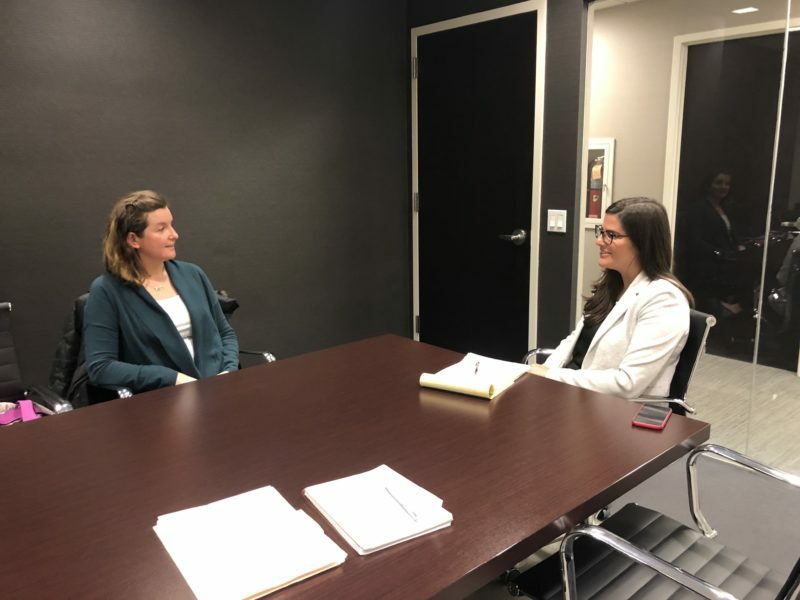 She feels a strong connection to the families that she works with and speaks with on a daily basis. This is especially true at walks and events where she gets to meet the people that she helps face-to-face and to hug the kids and see them having a good time. Autism Speaks’ mission and vision is undergoing a shift from autism awareness to autism understanding and acceptance. Awareness is important, but even more important is developing a better understanding and acceptance of autism and those affected by autism because that is what leads to individualized treatment and specialized care. Autism Speaks put autism on the map, and World Autism Awareness Day and World Autism Month are key awareness drivers. The 12th annual World Autism Awareness Day is April 2, 2019, and is one of seven health related UN world days. Joined by the international community, hundreds of thousands of landmarks, buildings, homes and communities around the world will “light it up blue on April 2” in recognition of people living with autism. Wear blue: Wear something blue on April 2 in support of understanding and acceptance for people with autism. You can get official #LightItUpBlue gear at the Autism Speaks e-store. Many schools and businesses participate in dress down days where students/faculty/employees wear blue. Light blue: Get BLUE Philips light bulbs at Home Depot, or visit rosco.com/LIUB to get blue light filters. A portion of sales goes to Autism Speaks, and you have an easy way to light your house up blue! In addition, there are many ways to show your support and spread the word on social media. Click here to learn how to Share Blue, Spread Blue, and Support Blue on World Autism Day, and throughout April, which is World Autism Month. World Autism Month features autism-friendly events and educational activities designed to increase understanding and acceptance and foster worldwide support. We asked Trish what makes World Autism Month so special and she shared that it is a time when Autism Speaks hears from a lot of the families. It’s a time for everyone to share their own personal stories. There is a mosaic on the website where families can share pictures and stories about themselves and their children. It provides these families and individuals a great opportunity to share their stories in one big space and to truly see and understand that there is a community out there. Visit https://www.autismspeaks.org/world-autism-month for events and resources, and to learn how you can get involved. The organization was started in 2005 by Suzanne and Bob Wright who were inspired by their grandson who was diagnosed with autism. The Wrights helped raise funding for research, advocacy and extensive family services. They also led initiatives that affected change in insurance reform, began a public service campaign, started World Autism Awareness Day, and Mrs. Wright also helped launch the iconic blue puzzle-piece logo now recognized around the world. Suzanne and Bob Wright are the ones who started the first walk in Palm Beach, Florida. Now, it is always the first walk of the year. Today, there are over 70 walks that take place throughout the country. Organizations can reach out to the Field Development Team at Autism Speaks to express interest in starting a walk in their own community. Fundraising is the #1 goal of all of the walks, but a close second according to Trish is that the walks provide families with an opportunity for face-to-face interaction with Autism Speaks staff, service providers, and other families in their local community. People are uplifted after seeing all of the other families. They are provided with a feeling of community, making personal one-to-one connections that develop into sounding boards and even support groups. Trish’s favorite part of the walk is right at the start. She loves to get a great vantage point where she can see the people holding signs and waving and cheering. It’s like a giant parade and she can and feel the amazing energy that is created by the group. Trish feels that the most important resource Autism Speaks offers for parents or individuals is the Autism Response Team (ART) – they are the “boots on the ground” and are there to help answer questions and connect people with autism, their families and caregivers to a wealth of information, tools, and resources. Aside from the ART team, there are over 40 free downloadable tool kits available on the Autism Speaks website that can be filtered by audience, age range, level of support, and resource type, so you can easily find the specific resource you need. If you would like to check them out, visit the online resource guide with 10,000+ resources – search by zip code and find local resources. Don’t forget: the 2019 NYC Autism Speaks Walk is on Sunday, September 15th at the South Street Seaport Pier 15. Please come down if you are in New York City and experience the walk for yourself! And don’t forget to look for us at our Attentive Behavior Care tent! So, You Want to be a BCBA?